Take this 3 day tour package and cover 5 of the most important areas in Israel. 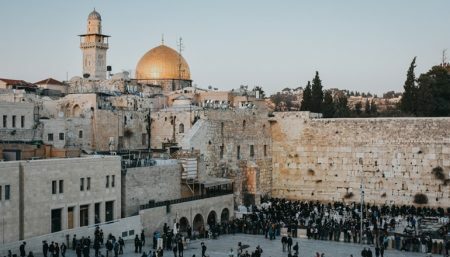 Start with learning about the rich history of Jerusalem with a fully guided tour around the Old City of Jerusalem, visiting the four quarters and the holy sites in the city. Then get the best view of the city from the Mount of Olives and visit historical and religious sites as well as natural beauties of the area. On the third day, head to Judean Desert where you will enjoy the spectacular beauty of Masada Fortress, Ein Gedi nature reserve, and of course, the lowest place on earth – the Dead Sea. *All times are approximate and itinerary is subject to changes.